Bernard Bartolomew “Frenchy” Uhalt | Sumner, Kern City & East Bakersfield - PAST, PRESENT & FUTURE! Bernard Bartholomew “Frenchy” Uhalt, Oaks Outfielder, 5′ 10″, 180 lbs. Professional Baseball Player. A native of Bakersfield, California, Uhalt made his major league debut on April 17, 1934, and played his final game on July 1, 1934. At 5’10, and 180lbs, Uhalt played for the Chicago White Sox in 1934. Although he played briefly as a professional baseball player, he was considered a legend in the Pacific Coast League, and played for Hollywood, San Francisco, Oakland Oaks, and Milwaukee of the American Association. He was elected to the Pacific Coast League Hall of Fame. Uhalt passed away in Rossmor, California, in September 2004, at the age of 94. Throws right. Bats left. Entered pro ball, Oakland PCL, 1928-29-30-31-32-33-34, and Chi., Amer. League, 1934; Oakland, PCL, 1935; Milwaukee, Amer. Assn., 1936-37; Hollywood, PCL, 1938-39-4–41-42; San Francisco, PCL, 1943-44-45-46. 1946 record: B.A. : .263. R.B.I. : 24. 2-B.H. : 27. Outfielder Bernard “Frenchy” Uhalt is seen in spring training with the 1936 New York Yankees. He never appeared in the majors with New York – his only big league action came with the 1934 Chicago White Sox. 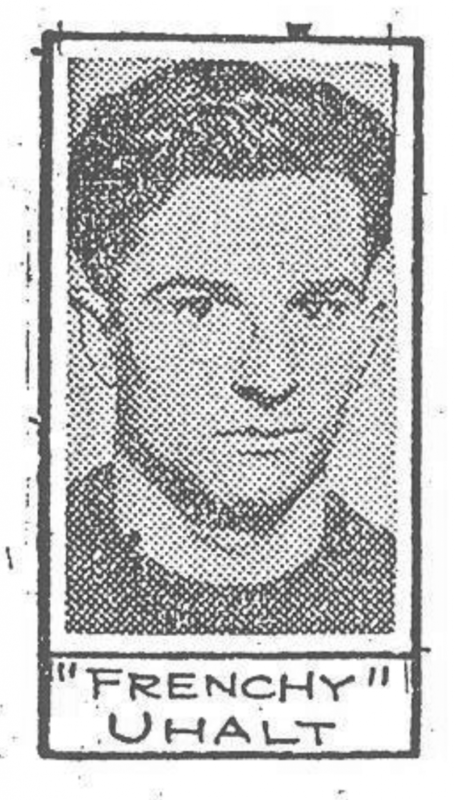 An all around athlete, Frenchy quarterbacked his Bakersfield High School football team to the state prep championship in 1927. He turned down college football scholarship offers to sign with the Oaks in 1928. After 61 games at Bakersfield in the California State League the following season, he was called back to Oakland, where he played the next six seasons. In 1936, he went to Milwaukee. Returned to the Coast League in 1938 and played for the Hollywood Stars from 1938 to 1942 and the San Francisco Seals from 1943 to 1947. 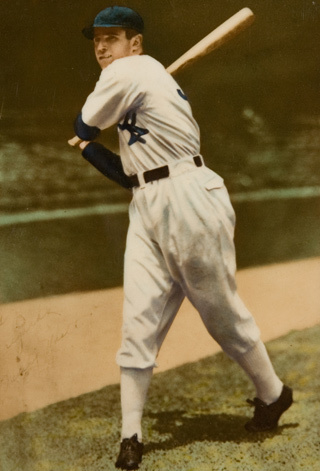 With the Stars he had the second highest batting average (.332) in the League and led in thefts; and when Gilmore Field opened in 1939 he won a pair of shoes, a hat and two shirts for getting the first hit, first double, first steal and first run. He was one of the key players with the Seals, hitting over .300 twice in his five years there. 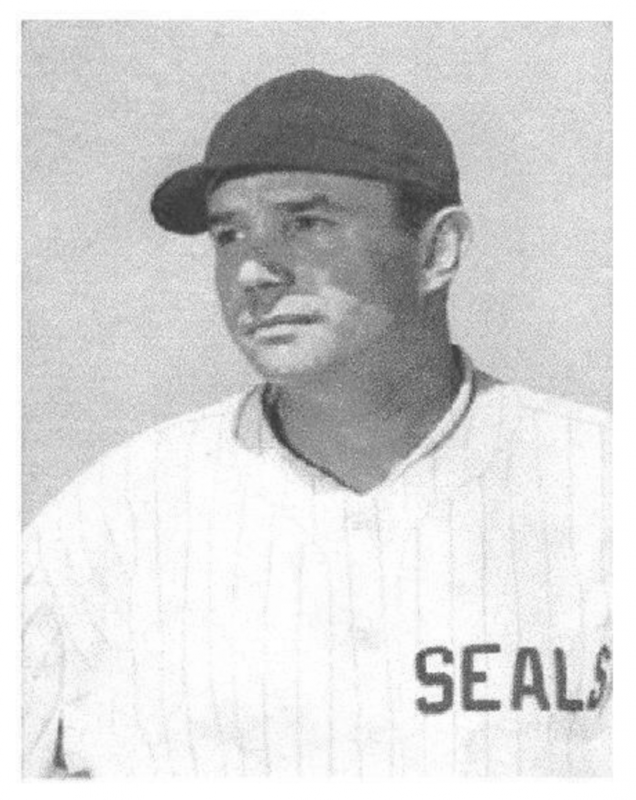 After he broke his ankle sliding into home with the winning run against the Oaks in 1947, the Seals let him go the day before the 1948 season began, and he signed with the Oaks. Has played 25 games with a .205 average for the Acorns in the ‘48 season. Bernard “Frenchy” Uhalt, Jr. April 27, 1910 – Sept. 3, 2004 Born April 27, 1910 in Bakersfield, CA, he was the son of French-Basque immigrants Benita Asnarez and Bernard Uhalt, Sr. from the Pyrenees, who settled in Bakersfield opening Uhalt’s Blacksmith Shop on East 19th and Kern. Known as “Frenchy”, he excelled in athletics from an early age. He was a tremendous football player at Kern County Union High (now the Bakersfield High “Drillers”). In 1927 he was the star running back taking the Drillers to the California State Prep Championship, beating Fullerton 38-0. His coach, Dwight “Goldie” Griffith, once said he was the “best back back I’d ever coached in over 40 years”. Frenchy was offered football scholarships to such schools as USC, Notre Dame, St. Mary’s, Fordham and UCSF, but turned them all down for the life of a baseball player, thinking he’d physically last longer in baseball than football. His professional baseball career started when the Pacific Coast League’s Oakland Oaks drafted him in 1928. He was an outfielder with tremendous speed. He played with the PCL’s Oakland Oaks, Hollywood Stars and San Francisco Seals. In 1934 the Chicago White Sox purchased him where he wore jersey number 36. After the 1934 season, he was sold back to the Oaks. He was bought and sold many times; the New York Yankees and Milwaukee Brewers each owned him at one time, but he returned to the PCL and finished off his career there. He was with the San Francisco Seals in the 1946 season when they were the PCL champs. When Gilmore Field opened in 1939 he won a pair of shoes, a hat and two shirts for getting the first hit, first double, first steal and first run. His 20-year career included a batting average of .332 and 2,798 hits all-time in the PCL. 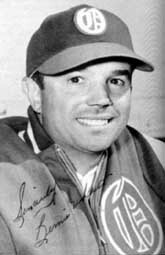 He was inducted in the Bob Elias Hall of Fame in 1973, the Bay Area Hall of Fame and the Pacific Coast League Hall of Fame. After retiring from baseball as a player, he stared managing. His first managing job took him to the Fresno Cardinals, where in his first inactive season as a player since 1928 they stayed in the first place almost from the opening gun. After retiring from managing, he eventually settled in Oakland with his wife, Virginia, and their only child, Suzanne Karen. He lived a quiet life of golf, playing with his grandkids, helping to coach his grandson, Marc’s, Little League Teams, (who, like his grandfather, was a tremendous baseball player being looked at while still in high school by the pros), and never missed a sporting event, whether it was soccer, swimming, baseball or track, of his granddaughter, Paulette. His later years were also filled with pain. His only child, Suzanne Karen, died of breast cancer at the age of 50 in 1989 and his home of 40+ years in Oakland was lost during the fires of 1991. He and Virginia moved to Rossmoor in Walnut Creek, CA after the fire and spent the remainder of their lives there. Virginia preceded Frenchy in death, dying peacefully at home in February of 2003 and Frenchy’s passing was also peaceful, at home with Paulette holding his hand as he took his last breath. At his request, there will be no public service. Frenchy was a private man who took great care of his family and cherished his grandchildren and great-grandchildren. He is survived by son-in-law, Fred William Vinson of Kekaha, HI, grandchildren, Marc Stephen (Wendy) Vinson of Fair Oaks, CA and Paulette Benita (Clay) Fry of Lafayette, CA, and great-grandchildren, Courtney Suzanne Vinson of Fair Oaks, CA, Williams Clay Fry and Giovanna Suzanne Fry of Lafayette, CA. He is also survived by nieces, Paulette Bruce Miller of Sacramento, CA and Joanne Sevilla of Ketchum, ID, and nephews, Gary (Jane) Uhalt of Bakersfield, CA and Steve (Kay) Uhalt of Bakersfield, CA. The family is requesting donations be made in his name to the Bernard “Frenchy” Uhalt Memorial Scholarship Fund in care of: Bakersfield High School, attn: Annie Elrod, 1241 G Street, Bakersfield, CA 93301.